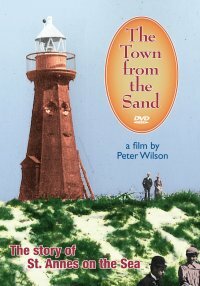 'The Town From The Sand' was made in 1974, specially commissioned by Gabriel Harrison, then Chairman of the St.Annes on the Sea Land and Building Company, to mark the towns centenary. It is a documentary film which traces the history of St.Annes on the Sea, Lancashire, from its founding in 1874. Local filmmaker Peter Wilson made the film with the assistance of many other people who lent old photographs, paintings and drawings. Local drama groups also helped reconstruct many events in the town's history.